May 12, the final day of National Nurses Week, is the birthday of Florence Nightingale (1820-1910), the founder of professional nursing. Due to her habit of making rounds at night, Nightingale became known as “The Lady with the Lamp” who organized the nursing of sick and wounded soldiers during the Crimean War. 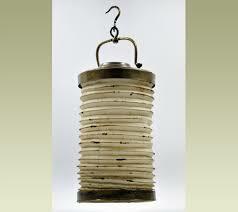 Florence Nightingale’s forward thinking ideas and reforms have influenced the very nature of modern healthcare. One of her greatest achievements was to transform nursing into a respectable profession for women and in 1860, she established the first professional training school for nurses, the Nightingale Training School at St Thomas’ Hospital. Nightingale campaigned tirelessly to improve health standards, publishing over 200 books, reports, and pamphlets on hospital planning and organization which are still widely read and respected today, including her most famous work “Notes on Nursing: What It Is and What It Is Not”. 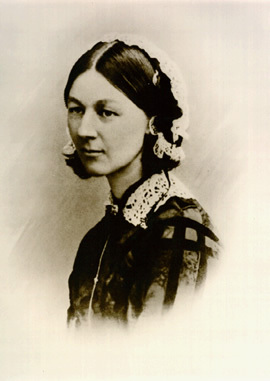 Nightingale’s influence on today’s nursing, ranges from her ward designs (known as Nightingale Wards) which were developed in response to her realization that hospital buildings themselves could affect the health and recovery of patients, to pioneering infection control measures, and the championing of a healthy diet as a key factor for recovery. Nightingale also believed in the need for specialist midwifery nurses and established a School of Midwifery Nursing at King’s College Hospital which became a model for future programs. Nightingale is also credited with inventing the pie chart and was the first woman to be elected to the Royal Statistical Society. She inspired the founding of the International Red Cross which still awards the Florence Nightingale Medal for nurses who have given exceptional care to the sick and wounded in war or peace. 1 Response to Happy Birthday Flo! Good one! I asked Sally is she was going to send something out- said I would send to my program faculty and students Sally says she usually send something out, but I have not seen it at all.